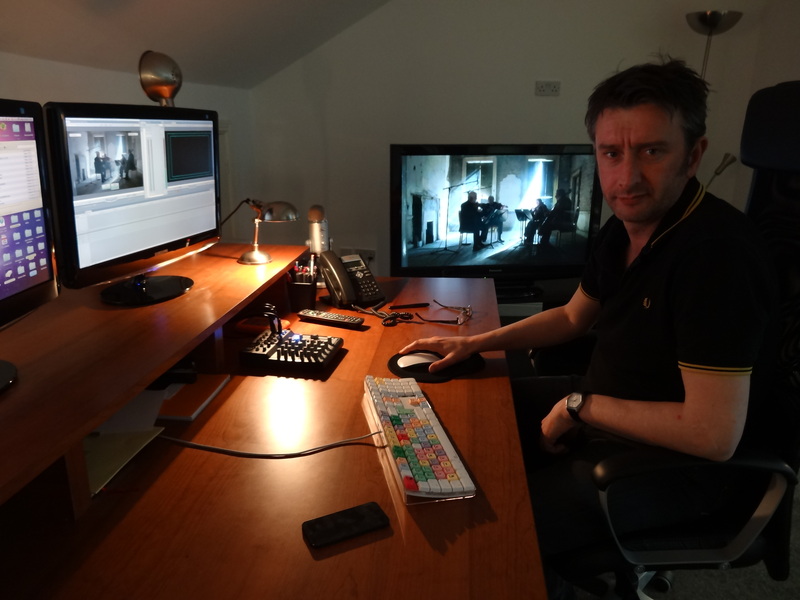 Mick Mahon is one of Irelands leading Editors, last year he was nominated for 3 Editing IFTA’s and he has cut a whole host of award winning projects. Mick is especially noted for his documentary work and has built up a staggering back catalogue of work. He has long standing collaborations with some of Irelands premier documentary makers including Maurice Sweeney, Garry Keane and Liam McGrath. 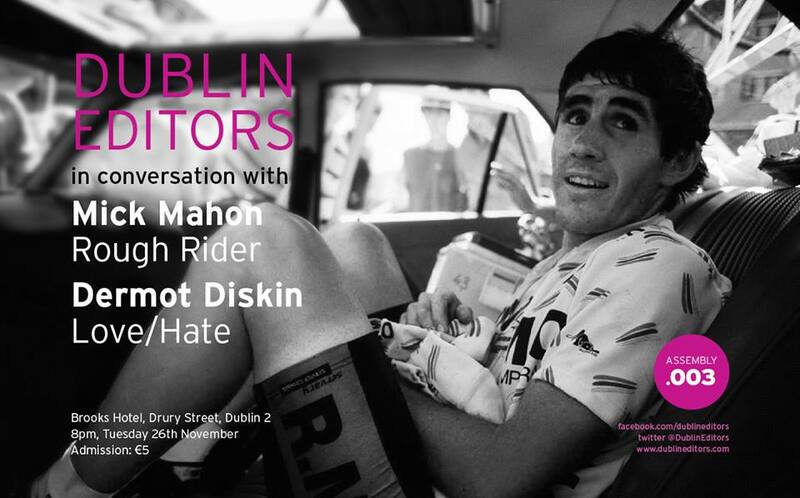 We are delighted Mick is taking part in our second In Conversation event on Tuesday the 26th November at 8:00pm at Brookes Hotel, Drury Street, Dublin. The documentary film John Sheahan: A Dubliner is a revealing and beautifully made portrait of a man who was an integral part of the national institution that is The Dubliners. As Barney McKenna once said, John is the ‘memory chip’, the part of the band who never forgets, ‘the mortar between the bricks’ that kept the band together. Produced by the award winning Scratch Films and directed by five time IFTA winning director Maurice Sweeney, John Sheahan: A Dubliner is a treasure trove of rare Dubliners archive some of which has never been broadcast in Ireland before and contemporary performances with Damien Dempsey, Declan O’Rourke, Charlie McGettigan, Máire Breatnach, Seán Keane and Neil Martin. Directed by Garry Keane for Motive Television and one of the most enjoyable sports docs of recent times. When droves of seven foot tall black ball players, who have just missed out on the NBA draft, arrive into a very white Ireland in the early 80’s, it makes for a very interesting story. New York is the biggest city in the United States with a population defined by a long history of immigration. It has the largest number of Irish‐Americans of any city in America. The New York City St Patrick’s Day Parade is the biggest symbol of Irish American culture and the oldest and largest civic parade in the world. 2011 marks its 250th anniversary. The 250th New York City, St Patrick’s Day Parade, is a reminder that the history of the Irish in New York is actually a history of New York itself. Gaeil Nua Eabhrac, is a two part documentary series which uses the parade on March 17th 2011 to provide a background, context and vehicle, to examine the modern realities of the Irish in New York. Seen through the eyes and the real life stories of first, second and third generation Irish Americans living in New York today. The documentary goes behind the scenes of the world of Irish America, the NYPD, the FDNY, the GAA, the Church, Politics and the Arts and present a contemporary portrait of a community with a 250 year old legacy. ‘The Writing in the Sky’ is both a portrait of an artist and of a magnificent landscape and its inhabitants, human and animal. Featuring dramatised readings from his work John Connolly: Of Blood and Lost Things examines the sense of place and atmosphere in Connolly’s work but also includes a biographical narrative of his Dublin childhood and journey toward becoming a writer. The documentary features interviews with iconic American crime writer George Pelecanos; David Simon, creator of TV’s The Wire; American novelist and friend Laura Lippman, and fellow Irish crime writer Declan Hughes. During the shoot the documentary was given unique access to accompany Connolly on a research visit to Maine State Prison, a Super-Max facility housing over 900 prisoners at Warren, Maine. The documentary also follows Connolly’s meeting with his first teacher, Kathleen Foley, who encouraged his writing at Loreto NS Crumlin 35 years ago. Narrated by Brendan Gleeson and featuring contributions from Anthony Cronin, Tommy Tiernan, and O’Brien’s brother, Micheál O Nualláin, ‘Flann O’Brien: The Lives of Brian’ looks at the man behind his many faces on the 40th anniversary of his death. Borrowing heavily from the writer’s own works, the documentary weaves together fact and fancy, with Tom Hickey playing one of Brian’s other alter egos, Myles na gCopaleen. This IFTA award-winning documentary follows Micheál O Muircheartaigh through the championship summer of 2006 while accompanying him on a walk down memory lane. We learn of his early life, witness the meticulous preparations for RTE Sport, see his close family at first hand, see his easy rapport with players and officials alike and absorb his raw passion for the people and games of the GAA. This is the story of one man and a voice that is associated with the championship summer for generations. The School, was a land mark documentary series for RTÉ Television, following the students and teachers of St Peters College Dunboyne over one academic year. Award winning company Scratch Films began filming the series in September 2008 after months of careful negotiations with County Meath VEC. Never before has an Irish school given such unlimited access to film makers, allowing camera crews to document every aspect of school life. CROMWELL IN IRELAND examines that great nemesis of Irish history: Oliver Cromwell. Starring Owen Roe as Oliver Cromwell, Declan Conlon as Hugh Dubh O’Neill and Catherine Walker as Elizabeth Price, Cromwell in Ireland is directed by two-time IFTA winning director Maurice Sweeney and presented by leading historian Dr Micheál Ó Siochrú. Airing to coincide with the 350th anniversary of Cromwell’s death on 3rd September 1658, the series consolidates Ó Siochrú’s fascinating take on this crucial time in Irish history. An estimated 500,000 Irish people died from war, plague and famine during Cromwell’s military campaign, making it one of the greatest catastrophes ever to befall the country. But strikingly, Micheál reveals how ‘God’s Englishman’ helped to lay the foundations for the modern Ireland that we know today. The origin of Ireland’s Travelling people is a subject that has been debated for many years. Some say they are related to Romany gypsies or some other ethnic group that arrived here over the past 1000 years, others say they have been a community in Ireland long before the arrival of the Celts and subsequent invaders, while more say they are ‘settled Irish people’ who ‘took to the road’ during times of famine and eviction in the years since Oliver Cromwell. Now for the first time this subject has been approached using the tools of DNA technology. For over a year Olympian Francie Barrett collected 40 Traveller DNA samples from every corner of Ireland. This DNA has been analysed by a team of scientists from The Royal College of Surgeons in Dublin, The University of Edinburgh and Ethnoancestory.com to unlock the history of Ireland’s Travelling people. As well as such an impressive documentary background, Mick has also cut quite a lot of drama.